Tracks as standard version. White disc in a yellow plastic wallet. 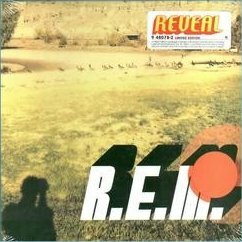 Cardboard sleeve containing 40 page colour book including original photography by Michael Stipe and complete lyrics. Product ID: Warner Bros. 9 48078-2.